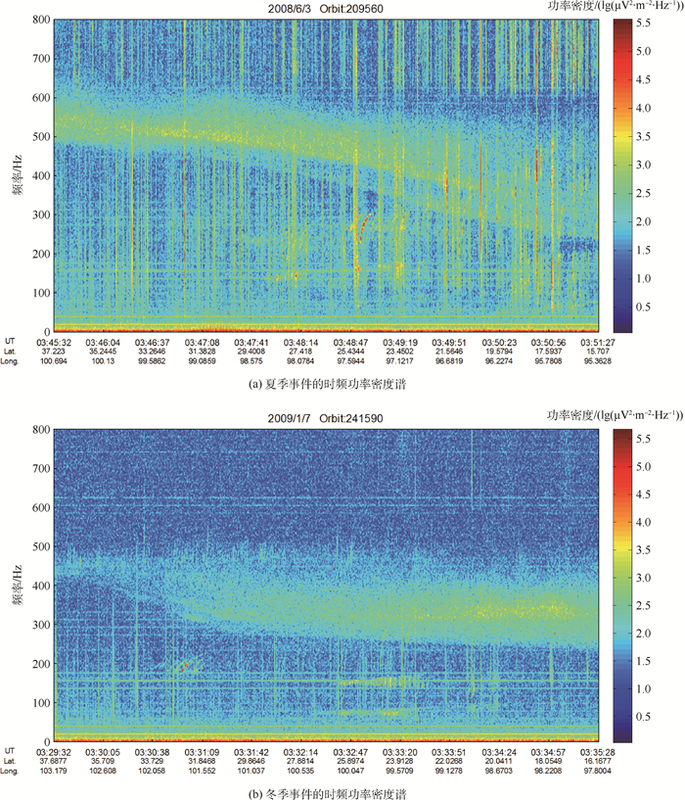 SHENG X L, WU J, ZHANG C. Space magnetospheric line radiation above China[J]. Journal of Beijing University of Aeronautics and Astronsutics, 2018, 44(7): 1504-1513. Abstract: The electric field data observed by DEMETER satellite in the space above China from 2008 to 2010 were analyzed, and 328 magnetospheric line radiation (MLR) events were detected. 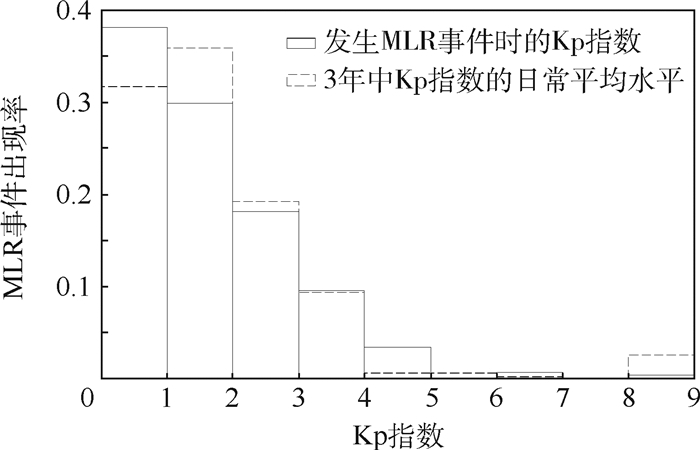 According to the spectrum of the existing MLR events, the characteristics and their possible cause of these MLR events were studied. We made statistical analysis on all MLR events, and the results indicated that there were more MLR events in daytime than in nighttime and more in winter and autumn than in summer and spring. MLR showed no significant dependence on geomagnetic activity. Most of events were distributed in the low and medium latitude. 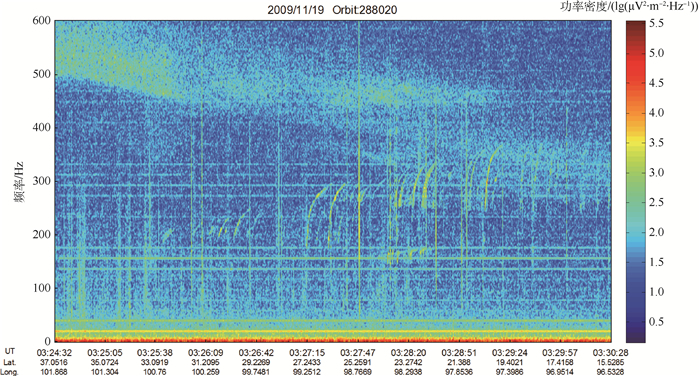 The frequency intervals of MLR events were between 55 Hz and 95 Hz, the frequency drift rates were mostly in the range of 0-0.4 Hz/s, and peak intensities in frequency-time spectrograms seemed to be independent of latitude. 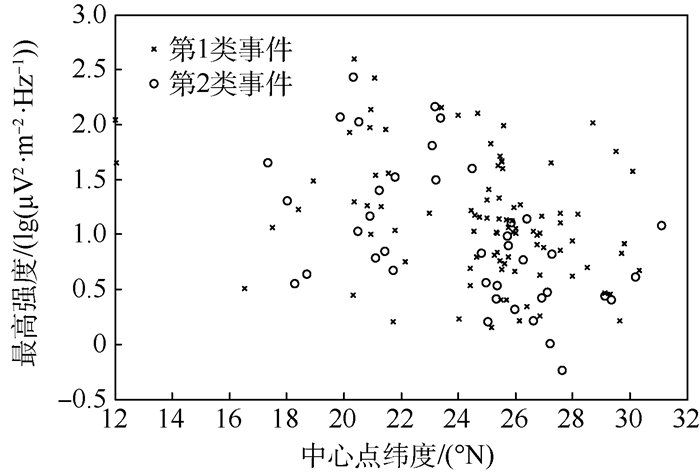 The characteristics of MLR events observed in the space above China were similar to those of power line harmonic radiation (PLHR) events, but different from those observed abroad. 孟伟, 文俊, 郑劲, 等. 高压直流输电线路对通信明线影响的仿真研究[J]. 电工技术学报, 2008, 23	(6): 103–108. 邬雄. 特高压输电的电磁环境问题研究[J]. 电力系统通信, 2006, 27	(6): 1–5. 吴静, 付静静. 地震电磁卫星监测输电线谐波辐射研究综述[J]. 地震学报, 2011, 33	(6): 828–836. WU J, ZHANG C, ZENG L, et al. 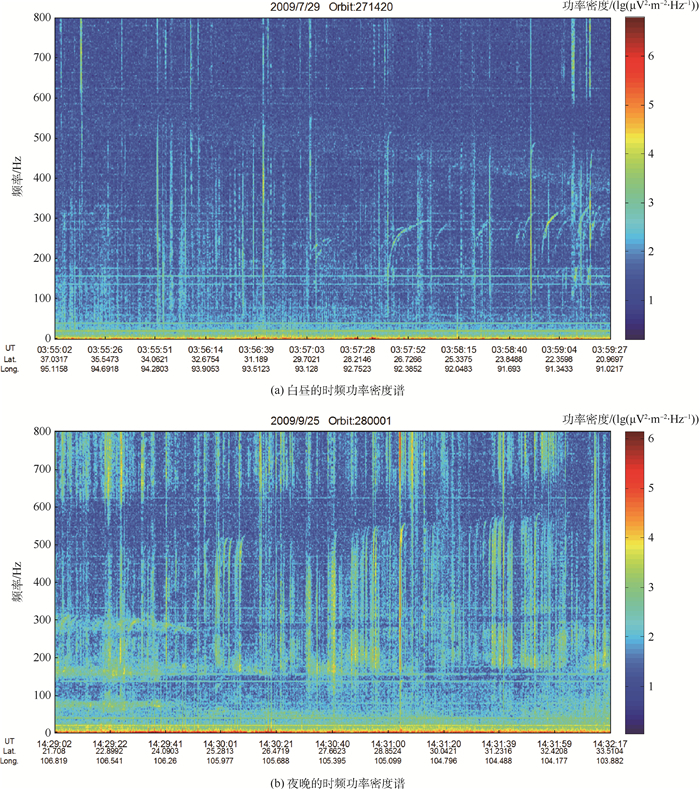 Systematic investigation of power line harmonic radiation in near-earth space above China based on observed satellite data[J]. Journal of Geophysical Research:Space Physics, 2017, 122	(3): 3448–3458. YEARBY K H. Magnetospheric VLF line radiation[D]. Sheffield: University of Sheffield, 1982. TATNALL A R L, MATTHEWS J P, BULLOUGH K, et al. Power line harmonic radiation and the electron slot[J]. Space Science Review, 1983, 35	(2): 139–173. MANNINEN J. Some aspects of ELF-VLF emissions in geophy-sical research[D]. Oulu: University of Oulu, 2005. NEMEC F, SANTOLIK O, PARROT M, et al. Comparison of magnetospheric line radiation and power line harmonicradiation:A systematic survey using the DEMETER spacecraft[J]. Journal of Geophysical Research:Space Physics, 2007, 112	(A4): A04301. NEMEC F, PARROT M, SANTOLIK O, et al. 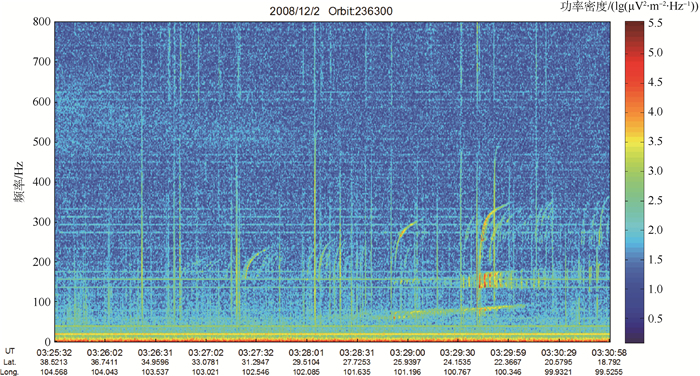 Survey of mag-netospheric line radiation events observed by the DEMETER spacecraft[J]. Journal of Geophysical Research:Space Physics, 2009, 114	(A5): A05203. NEMEC F, PARROT M, SANTOLIK O. Influence of power line harmonic radiation on the VLF wave activity in the upper ion-osphere:Is it capable to trigger new emissions?[J]. Journal of Geophysical Research:Space Physics, 2010, 115	(A11): A11301. NEMEC F, PARROT M, SANTOLIK O. Detailed properties of magnetospheric line radiation events observed by the DEMETER spacecraft[J]. Journal of Geophysical Research, 2012, 117	(A5): A05210.